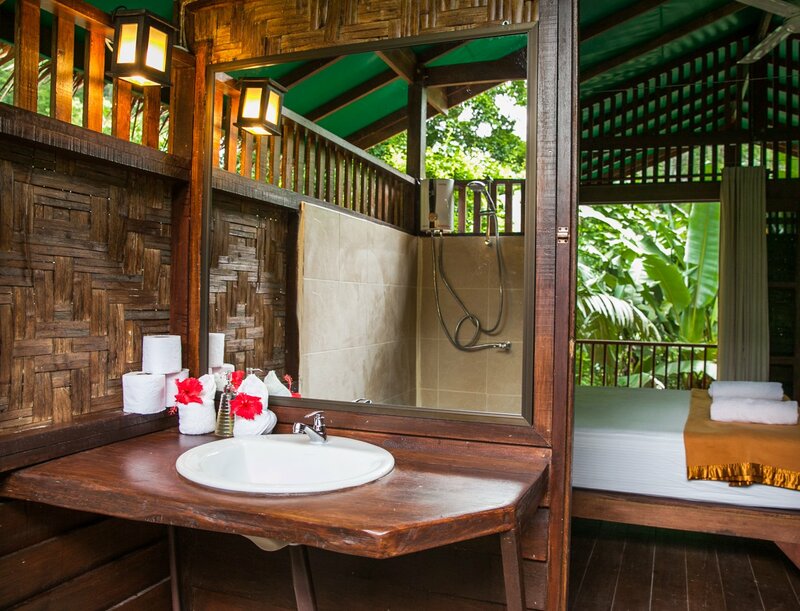 This gorgeous, hideaway treehouse is just for you. 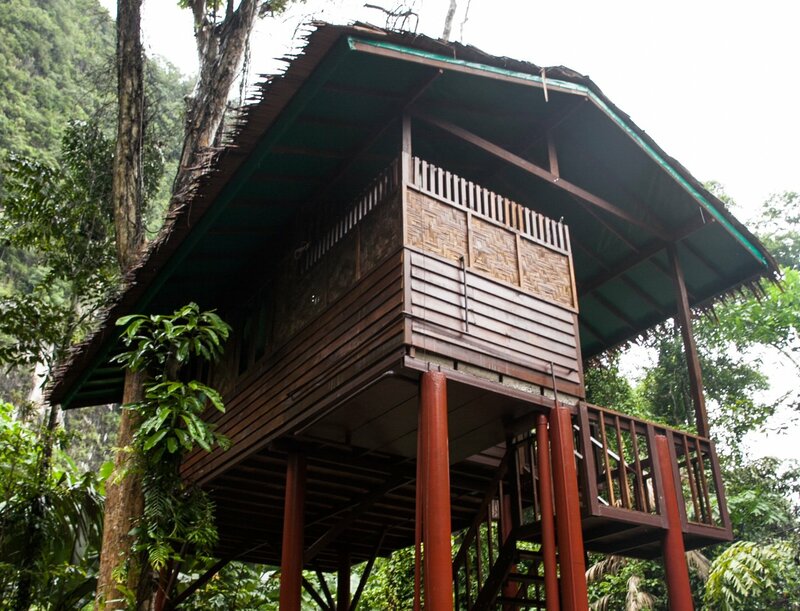 Hideaway is our tallest treehouse and offers birds eye views of the majestic white cliffs Khao Sok is famous for. 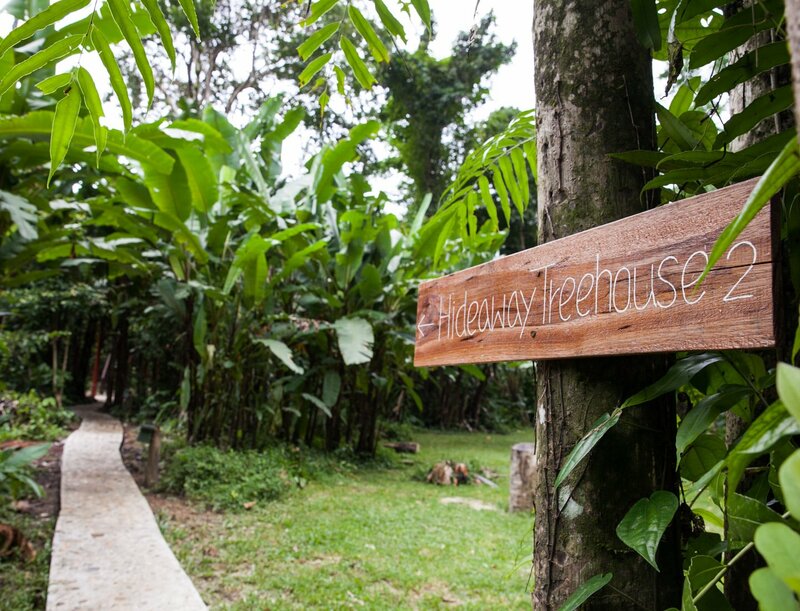 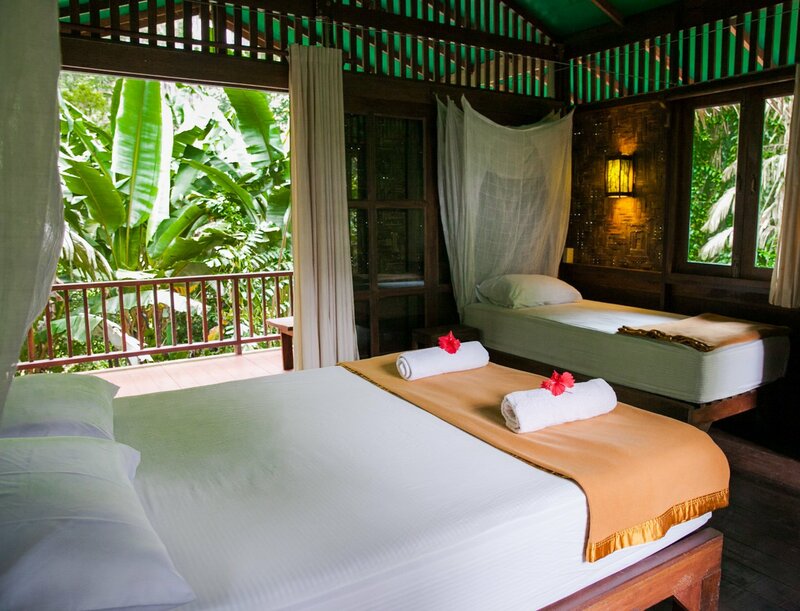 Tucked away down a quiet jungle pathway surrounded by banana trees, this light filled house gives the feeling of being in a world all of its own. 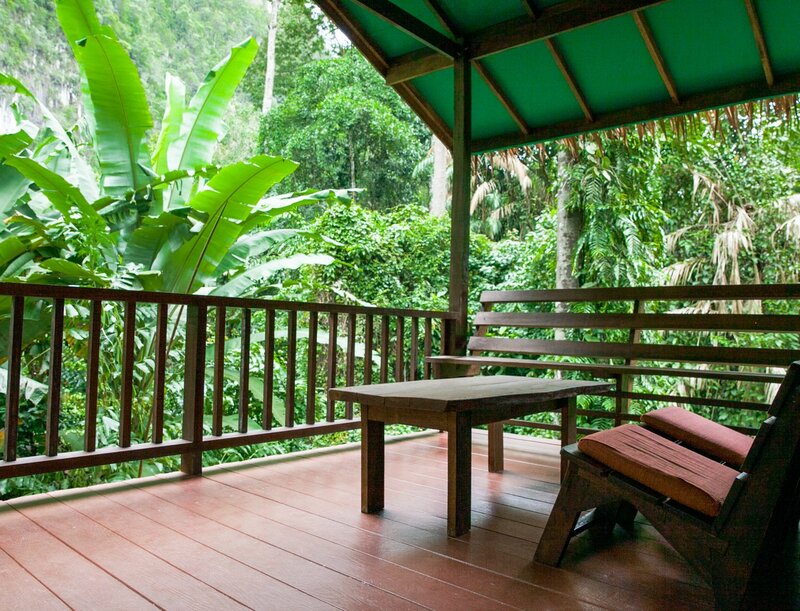 Relax on the open deck at tree top height and listen to the sounds of nature at night.